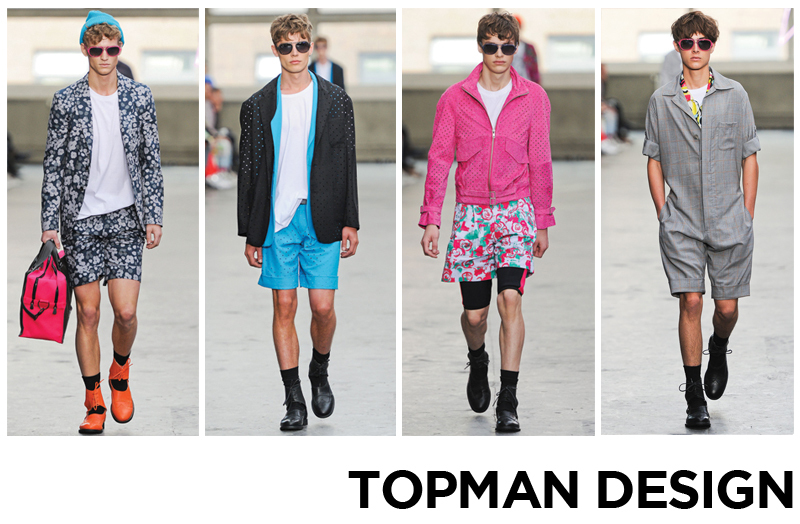 Possibly one of the most obvious trends seen in the TOPMAN DESIGN SS 13 collection was the short suit. Graphic floral prints inspired by graffiti artist, Jean-Michel Basquiat were paired with suits made from classic Prince of Wales check fabric. Neoprene cycling shorts were worn under tailored shorts for a contemporary look and accessorised with fluoro beanies. 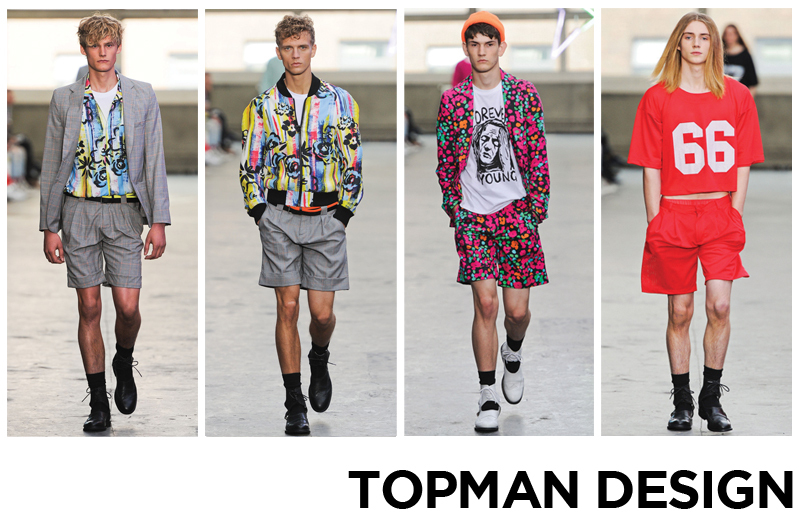 As is custom with TOPMAN DESIGN collections, the attention to detail was brilliant, especially the perforated suede biker jackets and the cut-away boots worn with socks. Cropped football jerseys in block colours reflected the youthful, relaxed feel of the collection, probably not the easiest trend to pull off though. It will be interesting to see how the neon-saturated colour palette filters into the mass market next spring.